Allegations are piling up against the building owners and factory managers of the eight-story Bangladeshi building that collapsed last month, killing at least 660 people and injuring hundreds more. Design details regarding the doomed building have also surfaced. Nearly two weeks after the country’s worst industrial accident, Mohammed Sohel Rana, the owner of the illegally constructed Rana Plaza, and two other people face allegations of murder, negligence and illegal construction, according to various news reports Monday (May 6). 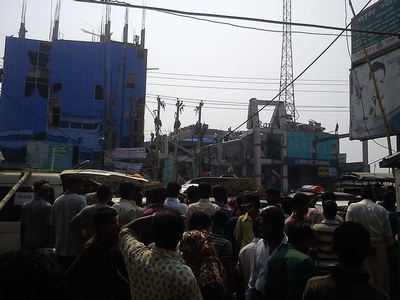 Rana Plaza, in Dhaka, Bangladesh, tumbled down April 24, killing, injuring and trapping hundreds. Hundreds more are believed to be still missing. Nine people in all, including two government engineers who were responsible for issuing safety permits for the building, have been arrested in the fatal collapse. None of those arrested has been formally charged. A Dhaka court ruled that the owners can be questioned by police for 12 days without charges being filed. The police have 15 days to question Rana, however. Rescuers at the scene continue to pull lifeless bodies from the concrete rubble and twisted steel using heavy machinery. It is unclear how many people are still missing. Officials say they gave up trying to find survivors last week. At least 2,443 people were rescued after the illegally constructed eight-story building in a suburb of Dhaka collapsed April 24. The building, designed for use as a shopping mall, housed five garment factories, a mall and a bank. 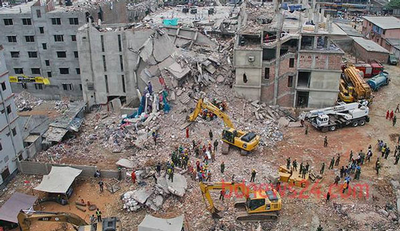 Most of the deceased victims were employees of the garment companies who had been ordered to report to work, despite an evacuation order the day before the collapse following the discovery of large cracks in the building. Officials in Bangladesh say they are now considering murder charges against Rana, multiple news agencies reported Monday. He already faces charges of illegal construction and negligence. Talk of possible murder charges surfaced when the wife of a garment worker killed in the accident filed a complaint with a Dhaka magistrate Monday, reports said. 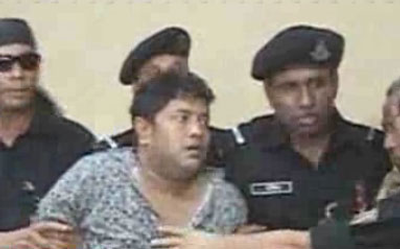 Eight days after his arrest, officials in Bangladesh say they are considering murder charges against the building owner Mohammed Sohel Rana. Sheuli Aktar, the wife of Jahangir Alam, alleged that her husband and others were “pushed toward death” by Rana, local government engineer Imtemam Hossain, and employer New Wave Styles Ltd. owner Bazlul Adnan, according to the reports. Rana was said to have told tenants—including the five garment factories—on the day of the evacuation order that the building was safe for occupancy. Rana, however, says blame lies with the ready-made garment factory owners, according to bdnews24. Local police chief Mohammed Asaduzzman told reporters that the magistrate had ordered police to investigate possible murder charges against the men. Rana was attempting to flee the country when he was arrested April 28. Among other violations alleged, officials say Rana illegally constructed three floors above what was permitted. He also allowed the garment factories to install and use high-capacity generators. Vibrations from the machinery may have played a role in the deadly collapse. “Heavy machinery and high-capacity generators” were “largely responsible,” the Bangladesh Sangbad Sangstha News Agency reported, citing initial results of government inquiry into the collapse. “During the inquiry, we have found that use of substandard materials during the construction also contributed to the building collapse,” the leader of the inquiry, Main Uddin Khandaker, told the news bureau. On the day before the collapse, the Industrial Police, an agency that secures garment factories, observed large cracks in the building. They ordered the building shut down until engineers could take a closer look; the shops and bank heeded the warning. Moreover, the building was reportedly not designed for such heavy industrial work in the first place, according to the Associated Press. “Masood Reza, an architect with Vastukalpa Consultants [the firm that designed the original five-story building], said they designed the building in 2004 as a shopping mall and not for industrial purposes,” the report said. Meanwhile, at the collapse site, the smell of decomposing life loomed Monday as crowds continued to wait for news of those missing, reports note. Authorities still do not know how many bodies are left in the rubble because the garment factory owners reportedly have not provided a full account of how many people were inside the doomed building. Reports suggest hundreds remain missing; as many as 3,500 were thought to have reported to work that day. At the collapse site, crowds continue to wait for news of those missing. Bodies uncovered have been transported to a make-shift morgue at a local school for initial identification. Just over 400 bodies have been identified and returned to families. Hundreds of others remain unrecognizable, reports said. Reports also say that local residents are stopping trucks taking rubble from the site to make sure they aren’t carrying away human remains. 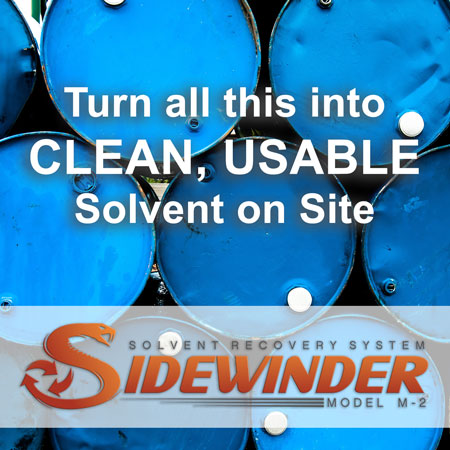 The recovery effort is anticipated to take up to 10 more days. “We will continue our rescue operation until the last body is recovered,” the deputy commissioner of Dhaka Yousuf Harun told a Bangladeshi news outlet.